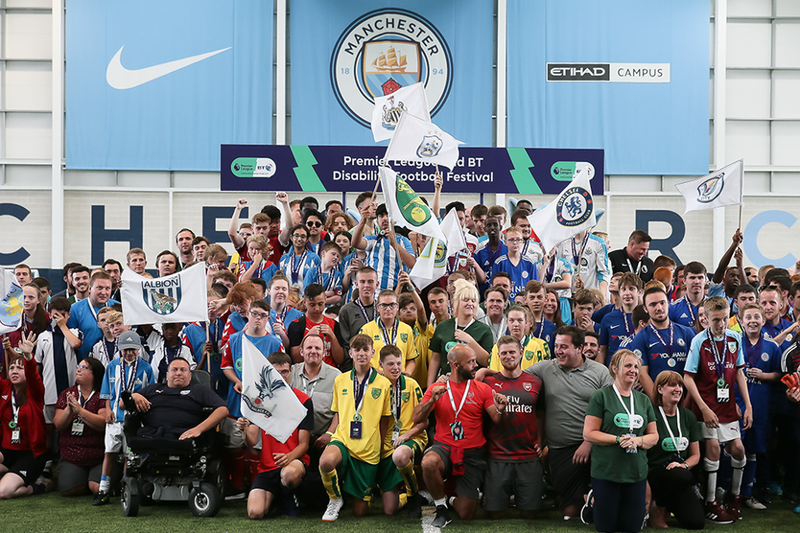 The PL/BT Disability Fund is a national programme that began at the start of the 2016/17 season. The programme is delivered by 25 clubs who seek to create possibilities for disabled people through sport helping to remove the barriers that mean that at present disabled people are half as likely to participate in sport as non-disabled people. Clubs will have a designated Disability Officer whose role will be to work with local organisations to provide new sport activity specifically for disabled people. In addition clubs will seek to make their existing programmes as inclusive as possible so that disabled people can take part in a wider range of activities. This programme will build on the outstanding work that clubs are already doing in this area and build a sustainable long-term infrastructure to ensure equality of opportunity. The programme is part funded by BT and BT Supporters Club who as well as investing financially will be providing on the ground support for the delivery of the programme through staff volunteering opportunities. Through this partnership you will be able to see films of the clubs’ work shown by BT Sport on match days throughout the next three seasons.